Home > Nerds of The World Unite! Weird Al And His Unparalleled Parody Invade The Hollywood Bowl > “Weird Al” Yankovic at Hollywood Bowl 7/22/16. Ssetlist. “Weird Al” Yankovic at Hollywood Bowl 7/22/16. Ssetlist. "Weird Al" Yankovic at Hollywood Bowl 7/22/16. 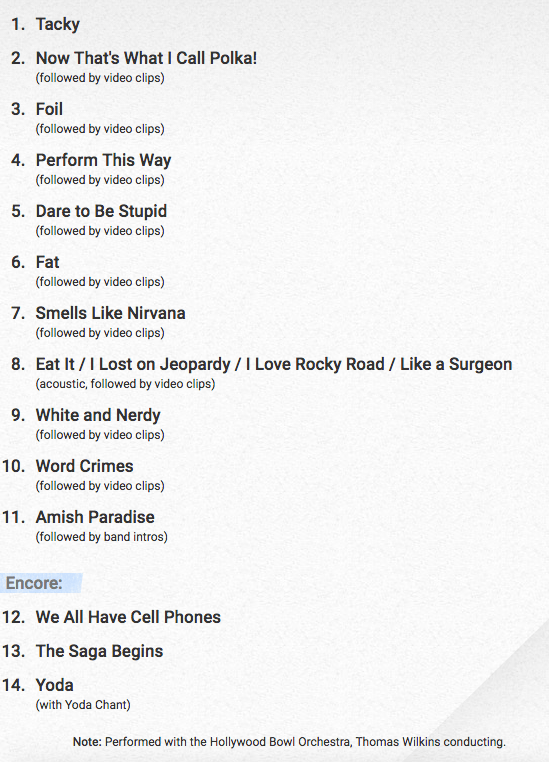 Ssetlist.